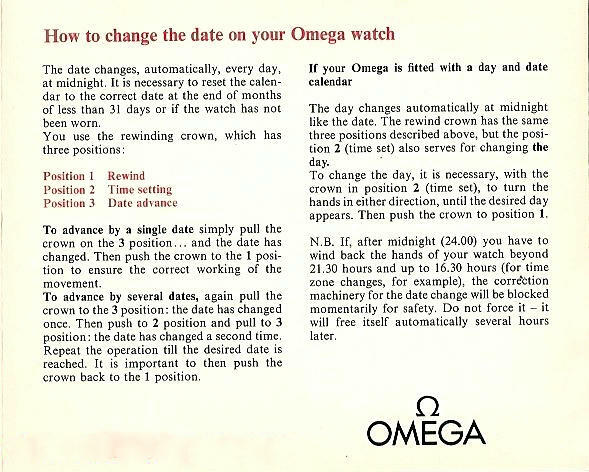 This post has been a long time coming and traces the origins of the original Omega Constellation concept back to its roots in 1943. The larger focus is on the Omega Centenary produced to celebrate Omega's 100 years of manufacturing history. 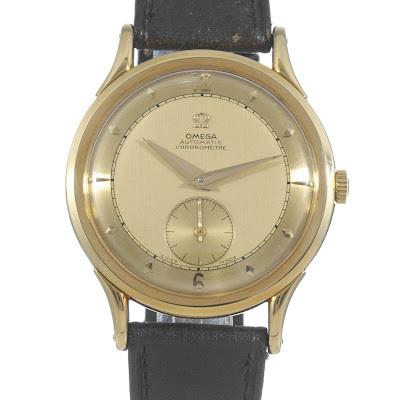 This is a 'living' essay, and while I have been at pains to provide as accurate a review as possible of these early models, there is always the potential for error when delving into the detail of Omega history and horology. So, please feel free to offer any insights that will add to its substance or greater accuracy. Also if you would like to have your Centenary featured in the essay, please let me know. Click here for the pdf file - beware its a modem burner! Compiling this essay must have been a great deal of work and it really is a pleasure to read through it. Great work on a really beautiful Omega model. I haven't ever seen the Centenary "live" anywhere. Hi Desmond, Graham from the UK here. I was wondering if you would like photos of my centenary, especialy as it has the "Officially Certified" script added underneath the usual "chronometre" script. As you may remember I contacted omega and was told it was quite possible that some centenarys did in fact carry this extra bit of text. I did send you some very closeup photos of the script, chapter rings etc and the opinion of all that examined thephotos was that the text on the dial was correct and original. I hope you are well by the way and I think the pdf on Centenarys is an excellent read which I will be referring to for a long time to come. Hi Desmond. My name is Carlos, from Brazil, and I found your Blog looking in the web for informations about a certain watch inherited by my wife from her grandfather. By the number in its calibre Omega informed that is a OT 2500, Centenary, calibre 30.10 RA PC JUB. I read your essay about the Centenary model and I fell in love with this watch. But I still have some doubts about it. - There is no line in the chapter ring. Only the minute indices are in place. - In the sub dial there are no second indices. Only two perpendiulars lines from 12 to 6 and from 9 to 3. The watch is not in good condition but despite the issues mentioned above, it really seems to be authentic and I have the intention to restore it. How could I send you some photos of the watch? Could you help me with these issues? Yes photos would be the idea. Click on the about me link and then on the email link and then you can attach some pics. Preferably good closeups of the dial and movement. Case back may or may not hace 2500 stamped inside. If the the JUB version then only the case number will be stamped. How much would a cal 341 Centenary in 18k gold be worth these days? For a fully marked 341 JUB with original dial and sharp case, I reckon 3200 - 3500 will be around eBay ballpark. More expensive of course in bricks and mortar outlets. Thanks for rhe prompt reply Desmond. Is that price US dollars? Also, was the Centenary the target of counterfeiters? USD it is. Hasn't as yet been a target, however I've seen one or two examples of early chronometers that have been dressed up to look like Centenary models. Key thing is to get evidence of the "JUB" stamp under the balance. Shame you don't want a 344 model as I have one in my collection that Desmond knows about. The watch is original with the words "OFFICIALLY CERTIFIED" inscribed along with the standard text which makes it a rarity. It's been looked at by both Desmond and Omega. It has a 3 letter inscription on the back cover which I have left alone as I see it as part of the watch's history. Anyway, good luck with your search and if you want to see some very close up photos I can send some although Desmond has copies too. Hi Graham, I thought your movement was a 343? I plan to upgrade the essay soon on the immeditately pre-Constellation 2499s with the Officially Certified on the dial. In effect what I discovered is that the Officially Certified models should be post 1949 and quite late serial numbers. Since I had it serviced its been put away so I was working from memory, which is obviously not that good these days. It's great to hear you will be updating the essay as the 'officially certified' ones are well worth a mention. In the last 4 years or so, maybe longer, I have only seen 2 including mine. I really look forward to reading it when it's ready. If you still want pics Peter let me have your email. I'll be off for the moment. Would be great to see some photos. Do want post or send to me? Thanks Graham, look forward to the pics.